 This examination is being given to fill one (1) vacancy with the San Joaquin County Human Resources Division and to establish an eligible list to fill future vacancies. Resumes will not be accepted in lieu of an application. A completed application must be postmarked or received online by the final filing deadline. The Principal Personnel Analyst serves a key role as a strategic partner and team member of the Human Resources Leadership Team and will manage the professional and administrative human resources staff at the San Joaquin General Hospital Satellite location. The ideal candidate will have a strong foundation and understanding of human resources operations, possess an in-depth knowledge of talent recruitment and selection in the public/government sector, be an effective communicator, demonstrate excellent interpersonal skills, be a consensus builder, have exceptional analytical and problem solving skills, and be able to multi-task, work in a fast paced environment, and handle a high volume workload. The first certification may be promotional. Principals and practices of public human resources administration, including recruitment, exam development, classification, employee relations, and EEO/diversity programs; principals of administration and organization; statistical methods and analysis; language mechanics and report writing; research methods; merit systems; federal and state employment regulations and guidelines. Perform technical public human resources work; supervise and train staff; gather and analyze data; prepare comprehensive reports; understand and interpret complex regulations and technical information; develop and present training programs; express oneself clearly and concisely both orally and in writing; make presentations to groups; establish and maintain effective working relationships with others. Mobility-Frequent operation of a data entry device; frequent sitting, standing, and walking for long periods; occasional driving, climbing stairs, pushing, pulling, bending, and squatting; Lifting-Ability to occasionally lift up to 15 pounds; Vision-Constant reading and close-up work and good overall vision; frequent eye/hand coordination; occasional color/depth perception and peripheral vision; Dexterity-Frequent holding, grasping and writing; occasional reaching and repetitive motion; Hearing/Talking-Constant hearing normal speech, talking in person and on the telephone; occasional hearing faint sounds; Emotional/Psychological-Constant public contact, decision making and concentration; frequent working alone; Special Requirements-May occasionally work weekends/nights; may be required to travel; Environmental-Occasional exposure to noise. Employees may purchase additional term life insurance up to a maximum of $200,000 at the group rate.Regular employees in this unit shall be provided with a supplemental life insurance policy with a face value up to $75,000. Deferred Compensation: The County maintains a deferred compensation plan under Section 457 of the IRS code. You may annually contribute $18,000 or 100% of your includible compensation, whichever is less. Individuals age 50 or older may contribute to their plan, up to $24,000. The Roth IRA (after tax) is also now available. For members of this unit, the County shall make a contribution equal to 1% of the employee’s base salary to the deferred compensation plan. Vacation Cash-Out: Members shall have the option of purchasing up to eight 8-hour days vacation time once each calendar year from the member’s accumulated vacation with the approval of the County Administrator. Confidential Unit Supplement: : Members of this unit shall receive a supplement of 10% of base salary. (a) Reimbursement of moving expenses: Actual documented cost of moving to a maximum of $2,000. Costs may include moving expenses, interim housing, and travel expenses related to the move for the candidate and his/her family. Any approved reimbursement shall be made contingent upon employment, in two incremental payments: the first payment after six months of service, the second after twelve months of service. (b) Vacation Accrual Rate: The San Joaquin County vacation accrual rate consistent with the candidate’s total years of public service. (c) Sick Leave: If the candidate is leaving other employment to accept the San Joaquin County position, credit of the candidate’s actual unreimbursable sick leave hours from the candidate’s last agency will be a maximum of 160 hours. Such hours shall be subject to San Joaquin County’s minimum sick leave cash out options. Note: County employees who currently receive a cafeteria plan allowance and subsequently transfer, demote or promote from or into the confidential unit shall have the option to either retain their existing cafeteria plan contribution amount or have a one-time option at time of hire of opting for the 10% unrepresented supplement in lieu of retaining their cafeteria allowance.